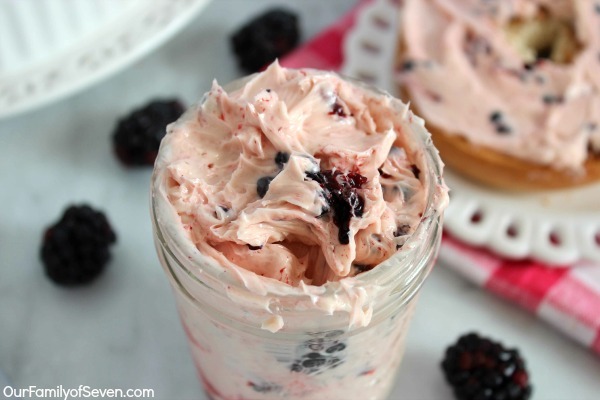 This Blackberry Honey Butter will make for a perfect spread for your bagels, toast, waffles or breads. Last week, I took the time to do some grocery shopping all by myself. Yup.. no hubby, no kids. It’s been quite some time since I have been able to enjoy shopping without a kiddo distracting me or Mike griping about the price tag of every item in my cart, ha ha. I had plenty of time to shop at my leisure with no time constraints. It’s been so long, that I can not recall the last time I was not feeling rushed and overwhelmed while food shopping. It was a pleasant trip, I must say. I took time to choose some great items for dinners and time to look for some fresh fruits and veggies. While I was scoping out the fresh fruits, I noticed some amazing looking blackberries. 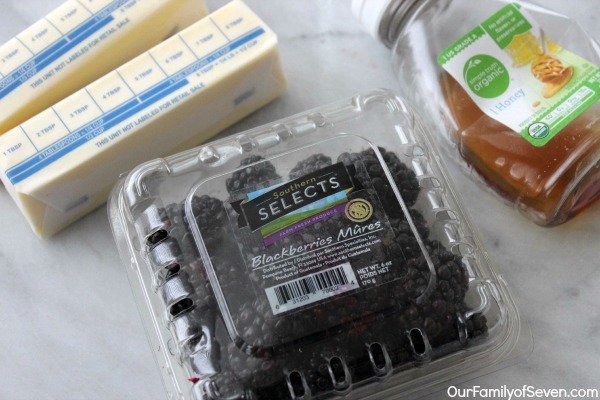 Mike is a huge fan of blackberries but he always refuses to buy them unless they are on sale which does not happen often enough, lol. I wasn’t quite sure what I was going to make with them but, I was determined to buy him something he enjoys. So I chose to buy two packages, one for snacking and one for a yummy recipe of some sort. 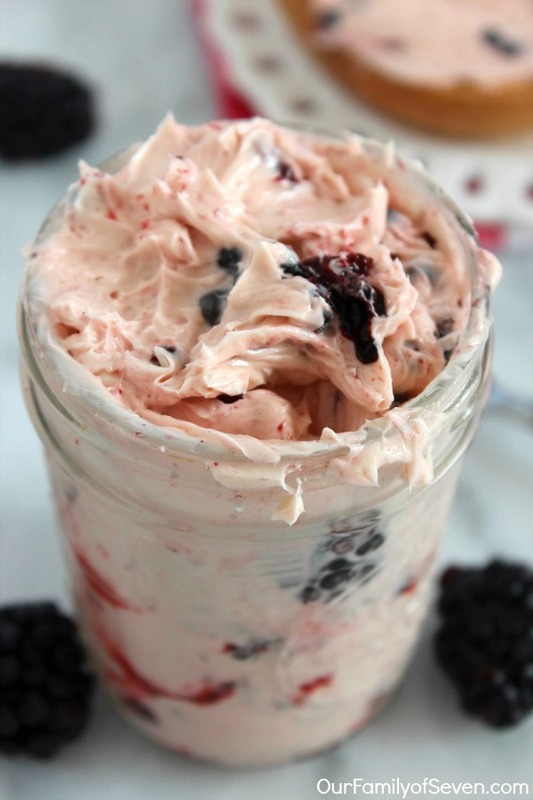 We had the most amazing strawberry honey butter spread while enjoying brunch at a local restaurant awhile back. This butter was amazing on bagels. That butter really inspired me! 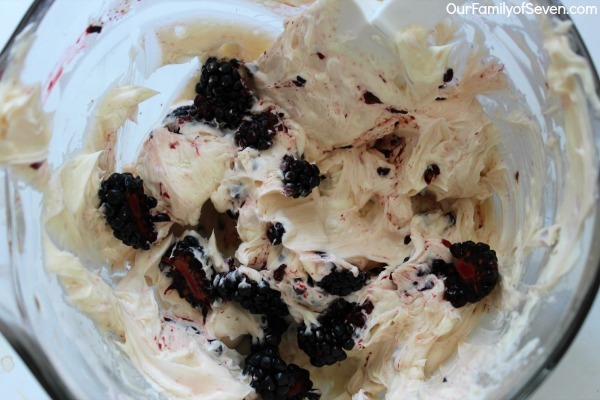 I figured I would add one package of our fresh blackberries to make our own Blackberry Honey Butter at home. 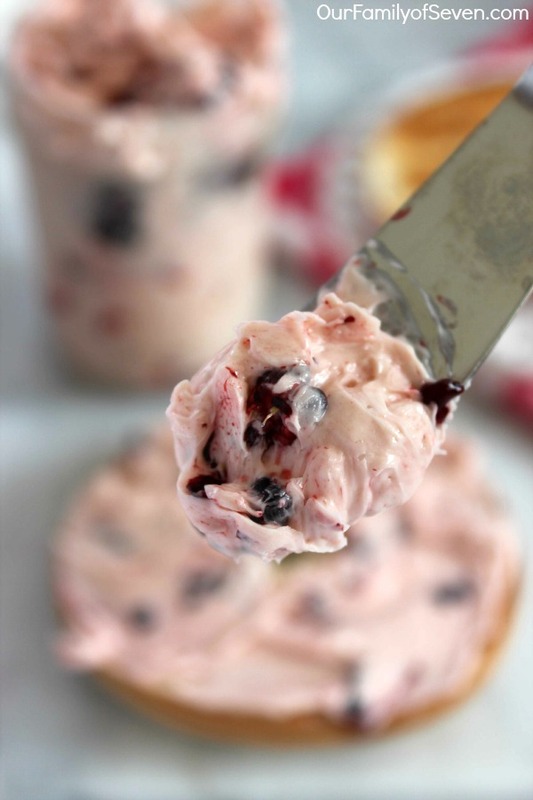 This compound butter is so simple to make and perfect for serving at breakfast or brunch. 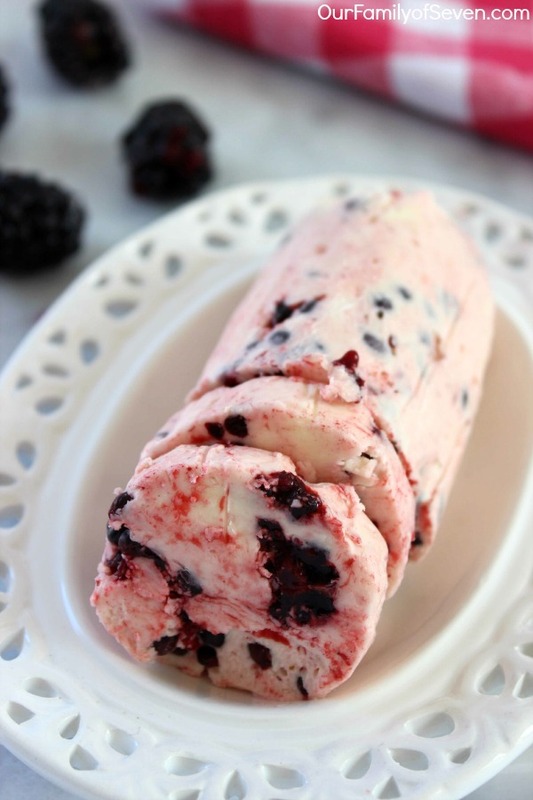 If you enjoy it as much as my hubby did, you will most likely be enjoying it for evening snack too! 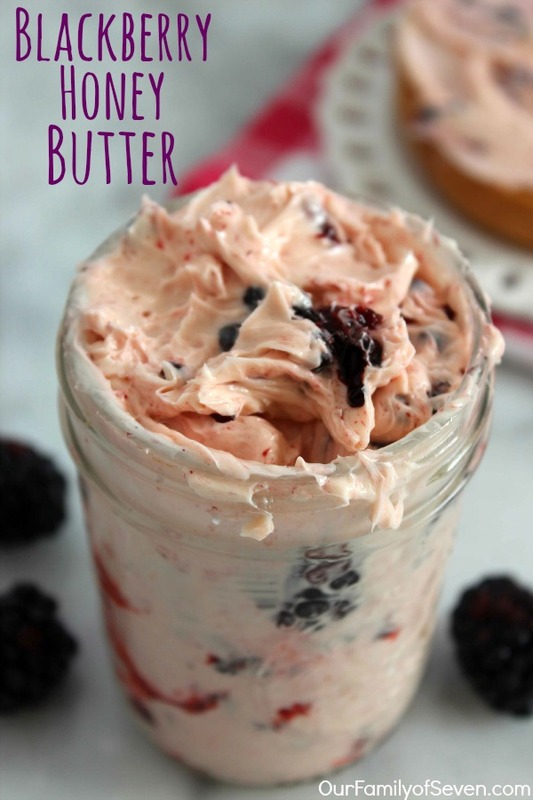 If I could describe this Blackberry Honey Butter with one word, I would have to say it is AMAZING. Last weekend, we decided to have an easy light breakfast at the table with muffins, bagels, fresh fruits, juices, coffee, etc. It was really nice to not be busy rushing around like we normally do on weekends. We discussed how nice it would be to do it more often. 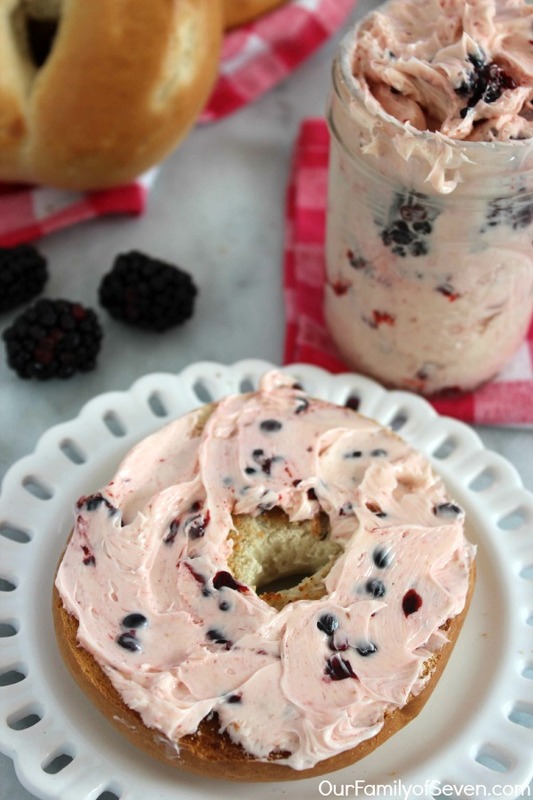 Does your family enjoy at home breakfasts or are you usually on the go like we are?